Palladio entrance doors are one of the most secure composite doors on the market, so you can offer ultimate peace of mind for your customers. There is a full range of unique design options with plenty of choice for customisation. The Palladio Door Collection is constructed from a unique fibreglass monocoque structure, similar to that used in Formula 1 race cars. This special structure offers incredible strength, security and energy efficiency. The monocoque structure uses a thick, GRP matrix to create a well-balanced, weigh-to-strength ratio. The structure will never twist or warp, so it offers superior strength. There is a choice of 26 unique entrance door styles in the Palladio collection with the option of decorative glass options and cleverly concealed hinges for a seamless finish. Palladio door leafs are cast from real oak timber doors. The grain is lifted from a real timber slab to create an authentic, grained finish. Entrance door designs with glazed features, have triple glazed units using Edgetech’s Super Spacer® warm edge technology for very low U-Values. 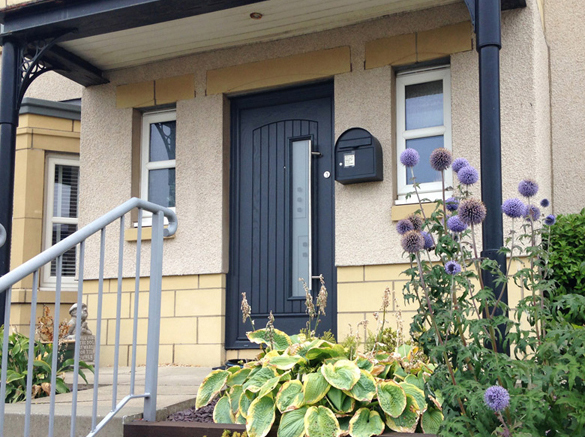 Glazed sections are available with a range of designs and colours to co-ordinate or contrast with the colour for the door. Units are finished with wood-effect beading. Matching side panels are available for wider entrances and there is a full range of door furniture and hardware to choose from to finish the look. 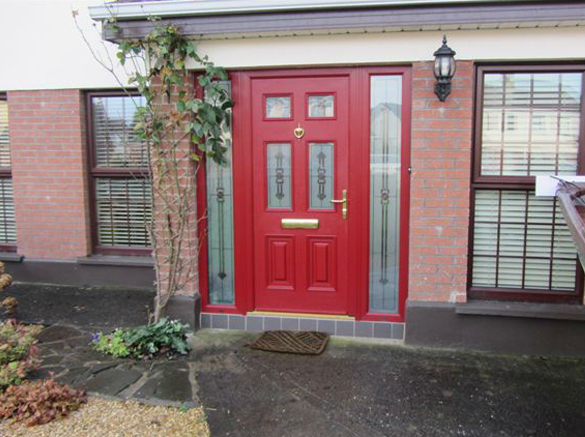 Palladio entrance doors from Everglade Windows also come with the Ultion cylinder lock as standard. You can see examples of Palladio entrance doors at our trade showroom. Palladio entrance doors are available in 10 different colour options, to give more design flexibility to your customers. 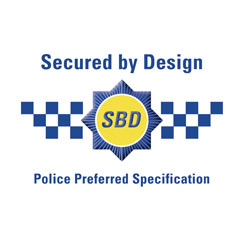 Our Palladio entrance doors are fitted with Ultion 3 Star high security cylinders as standard. There is a full range of handles available for Palladio composite doors including lever handles and lever pad handles in a choice of: Black, White, Smokey Chrome, Bright Chrome, Satin Silver and Gold. For a modern look, there is a range of brushed chrome long bar handles or for something more traditional, homeowners can opt for a classic door knob. A full range of letterplates, door knockers and finger pulls are also available. We know how important front door security is to homeowners. With the complex monocoque structure, Palladio entrance doors are some of the strongest on the market. This is backed by the addition of the Sold Secure Diamond 3-star Ultion cylinder lock as standard, for total security.